I like making character sheets so when I got my hands on the new Advanced Fighting Fantasy I had to give it a go. Here it is in PDF. Very nice indeed. 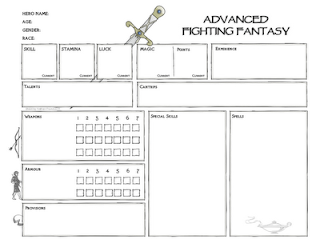 I'm conflicted about whether or not to get the game--the lack of a PDF is an issue here, alas. Thanks, Rob. And I hear ya. I almost didn't pick the game up because it wasn't going to see PDF. 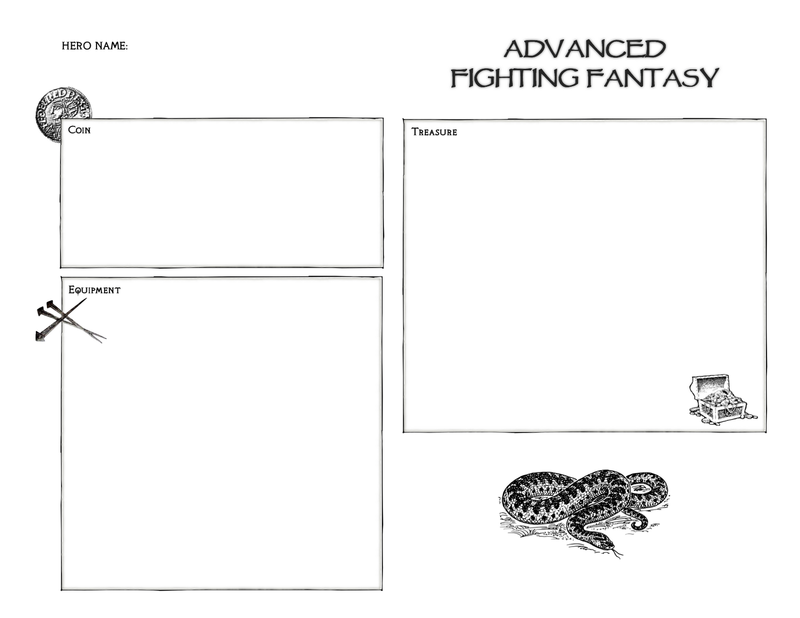 But with the Fighting Fantasy line being my first exposure to role playing, temptation ran high. An Amazon gift card tickled that temptation till I could wait no more. Last night we ran our usual test scenario and it was one of the most memorable instances of playing it. And it wasn't even nostalgia talking. My wife who has never touched a Fighting Fantasy book first made that comment. A writeup of the mini-session is in the works. I better hurry up because today I'm going to see if I can find Out of the Pit locally. Thanks, ZoeKitten84. I'd love to see more support for AFF out there. 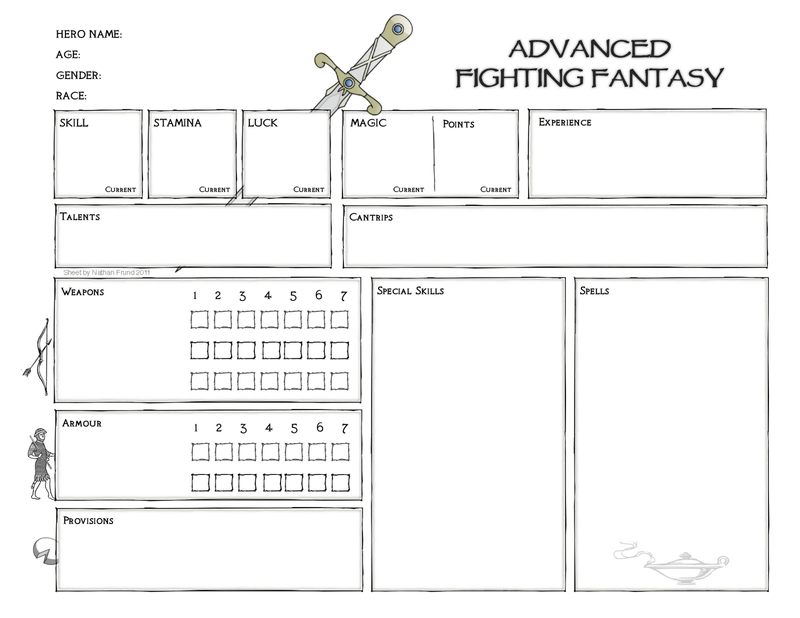 Thank you for your character sheet! They're easy to read. I absolutely love Fighting Fantasy.